La Vie Du Mannequin, translated to The Life of the Mannequin, was a two-day fashion presentation of three up-and-coming fashion brands, hosted by Prim & Proper Brothers, a fashion branding company on the rise. #LVDM was the embodiment of mixing business with pleasure and did it with so much style. Guests walked into Ange Noir Cafe, a small "mom & pop" style cafe that sold bagels, toasts and croissants. After walking past 2 red-painted wooden doors, we walked into Hell Phone. Hell Phone is a grungy British-style speakeasy straight out of the Prohibition era. (When the Constitution banned alcohol from 1920-1933, speakeasies were hidden establishments that made alcohol available.) The lights were low, music was bumping, and drinks were flowing as the night brought mannequins to life. LVDM featured the designs of Akida White of JueParis, Eric Lau of LauNYC, and Terence Terrelle Ferguson of TerrelleTerrelle. 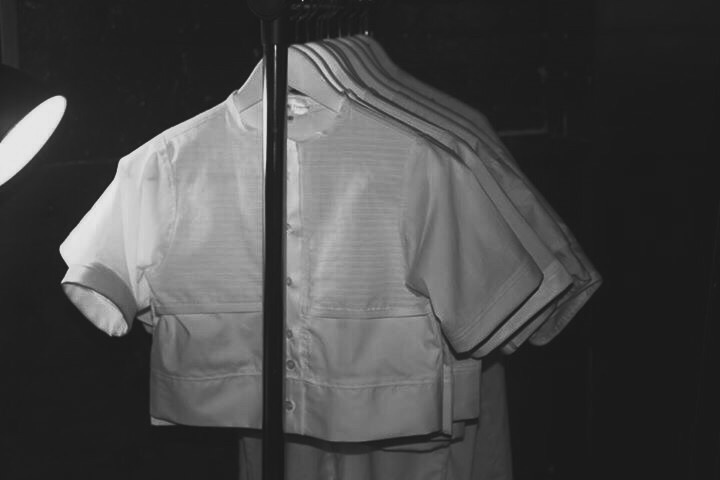 First debuting in 2012 as CashRules, Akida White found a home for his designs at the iconic Vinnies Styles shop located in Brooklyn, New York. As time passed and Akida learned more about fashion and styling he decided to change the entire direction of his brand. "You can't wear a Roc-a-wear shirt with Balmains" said White, "I would rather my work be at Barneys than Vinnies." Soon after, he rebranded his entire line and in 2014 CashRules became JueParis. The name JueParis is a mix of his own middle name, and Paris, the city he's always found ties to. Today, JueParis is aimed at producing "staple pieces that people want". JueParis' most popular work is the logo jersey. JueParis made use of classic colors and patterns to redesign a traditional jersey and turned it into a bold urban fashion staple with his eye-catching graphics and unique logo. Eric Lau is the founder of LauNYC, an internationally manufactured clothing brand. His first collection was a joint project with Gian Francesco, and they designed and manufactured their work in Italy while Eric studying abroad for a year. He brought the finished project back to the States and the rest is history. Italy's influence was evident in the Giofre designs with its textures, asymmetrical layers and nuetral colors, and we loved it! His newest collection was manufactured in his best friend's motherland, Ghana while looking to expand his economy in auto-parts. (A man about his business!) His designs this year has a dope change in aesthetic with his use of vibrant colors and bold prints - something tastefully different from his Italian-influenced contemporary work that stayed within the neutral solid color range. The influence is different but you can still expect his unique designs to feature overlapping layers and zippers that we loved from his last collection. A little bit of the old, a lot of the new! Terence Terrelle Ferguson is the co-founder of TerrelleTerrelle. Born in 2012, TerrelleTerrelle has always kept it clean, casual-chic and modern with his contemporary, mod, unisex styles. I first was introduced to TerrelleTerrelle 2 years ago when I noticed the bright whites and impressive details in his designs. Things haven't changed a bit. His newest collection features a band-collared crop top for women and matching full-length top for men. Please note that all designs are hand-made. Terence's designs have diverse influences and he isn't afraid of playing with different fabrics to appeal to different people. Terence's designs are not rooted in trends. While anyone can wear his designs, he wants people to step out of their comfort zones and think outside of the box. TerrelleTerrelle is for the fashion killa in all of us who want to be versatile, sophisticated, and always true to their style. To see people not only support the designers buy purchasing, but support the first of many projects brought to you by Prim & Proper Brothers lets me know these creatives are on their way up. Prim & Proper Brothers is a fashion Branding Company offering brand consulting/imaging, social media marketing, organization of shows and events, and many more. La Vie Du Mannequin was a weekend full of good vibes and energy....plus it was a bonus to finally find people who knew as many Kanye TLOP lyrics as much as I did. 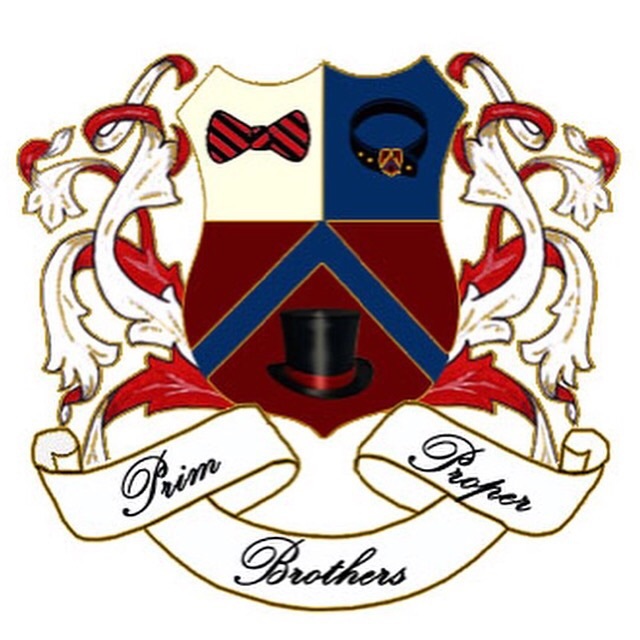 To stay updated with Prim & Proper Brothers, click here. To stay updated with JueParis click here, and here. To stay updated with LauNYC, click here, and here. To stay updated with TerrelleTerrelle click here.